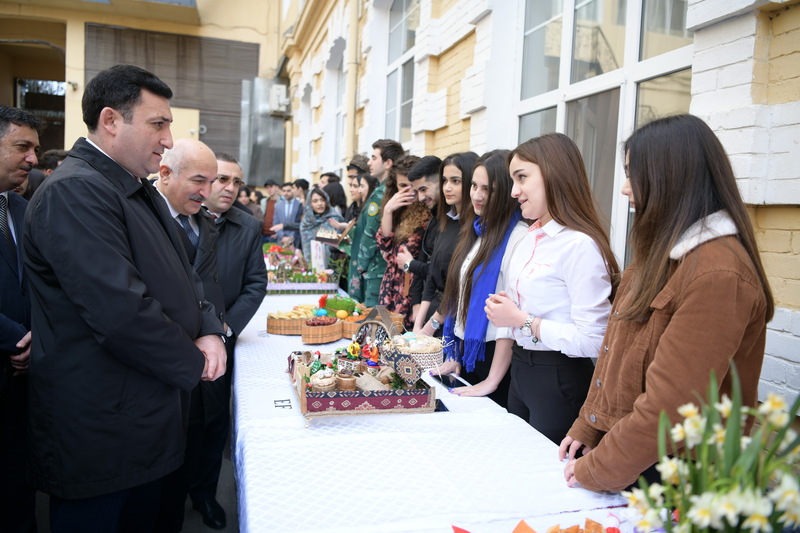 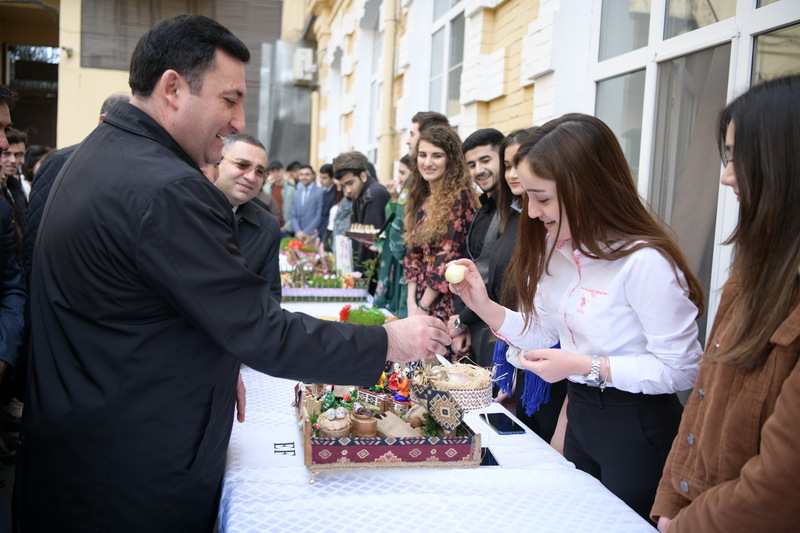 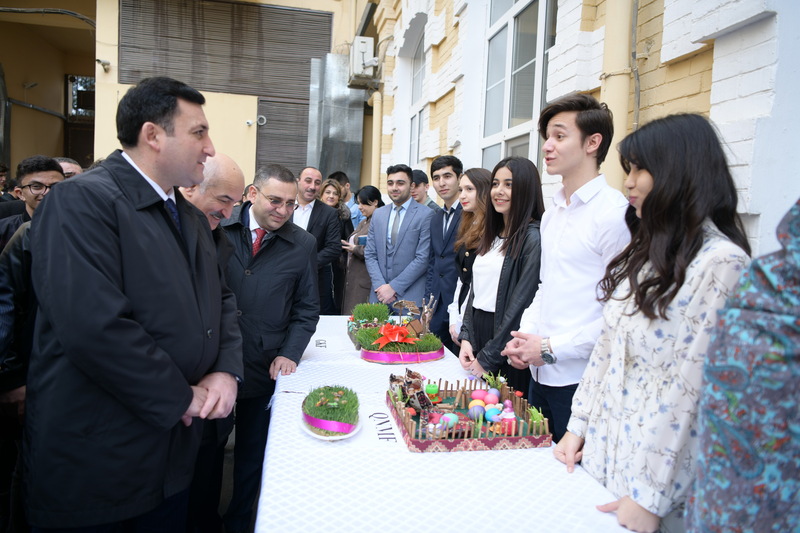 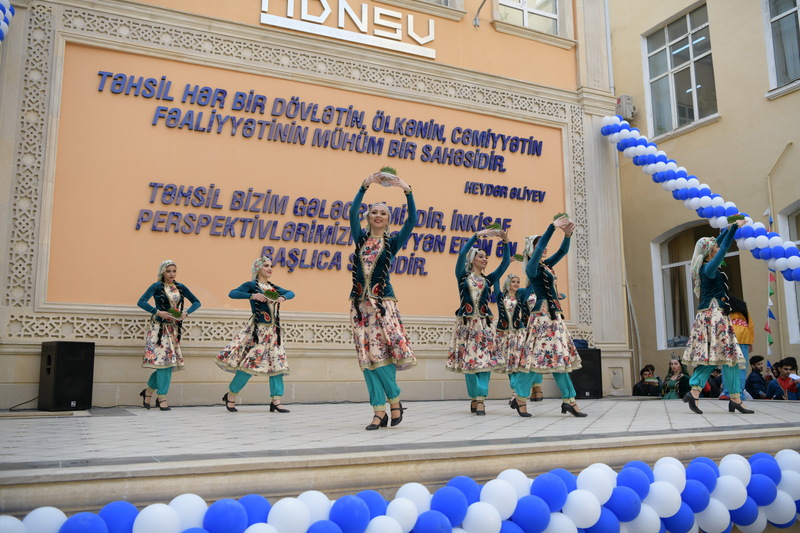 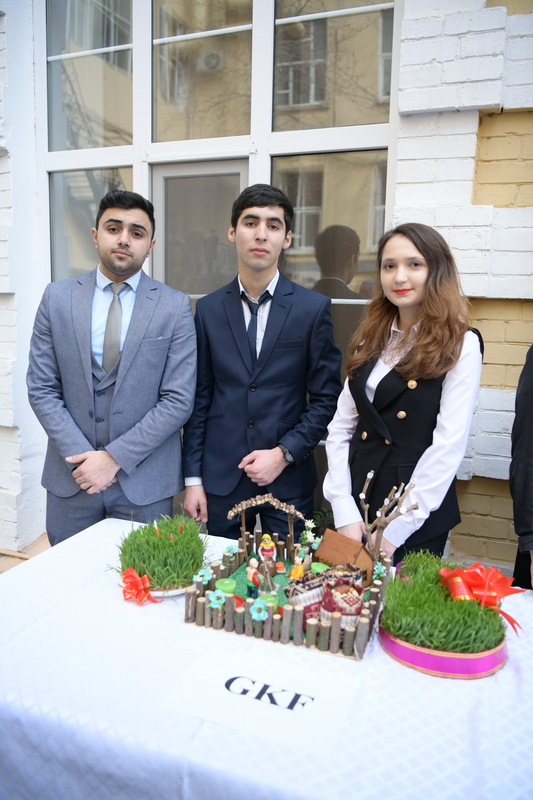 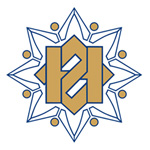 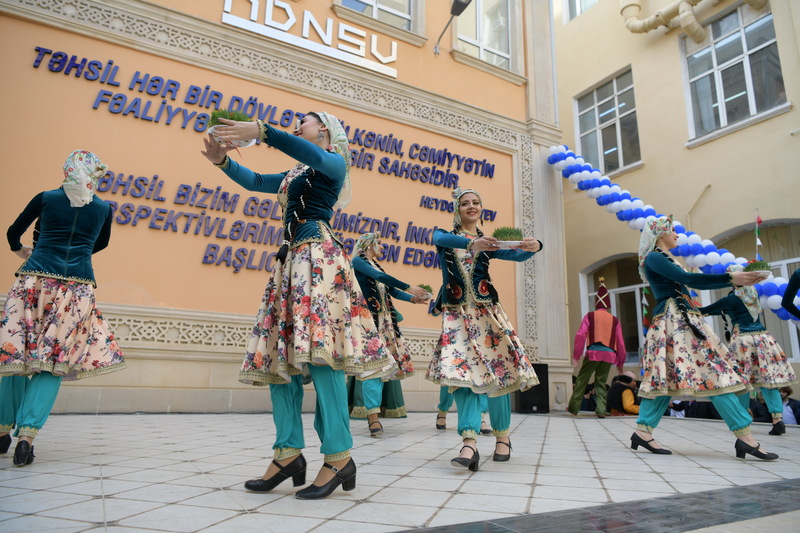 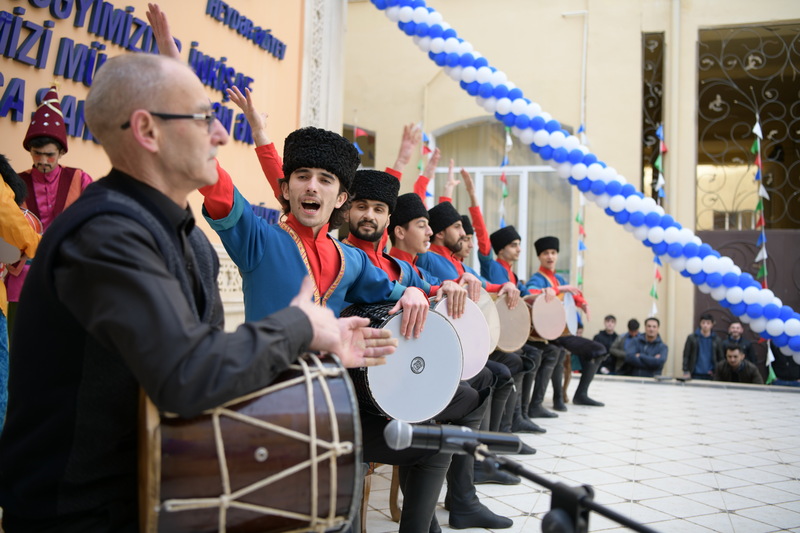 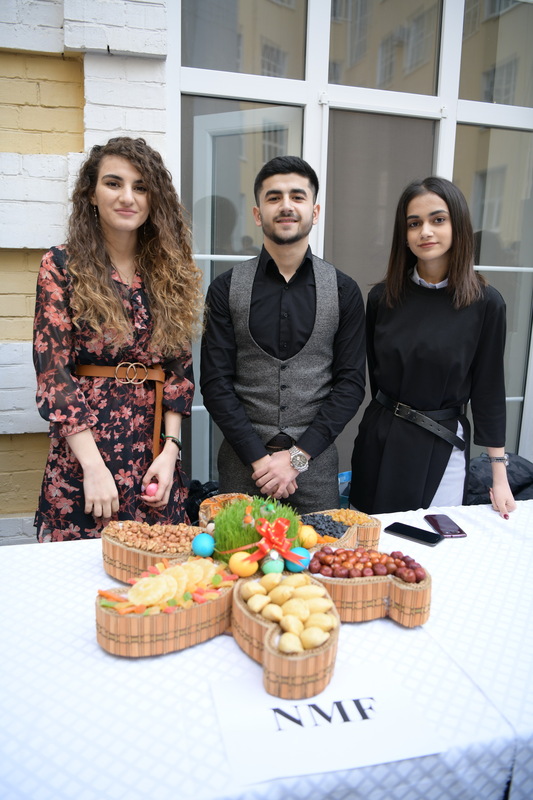 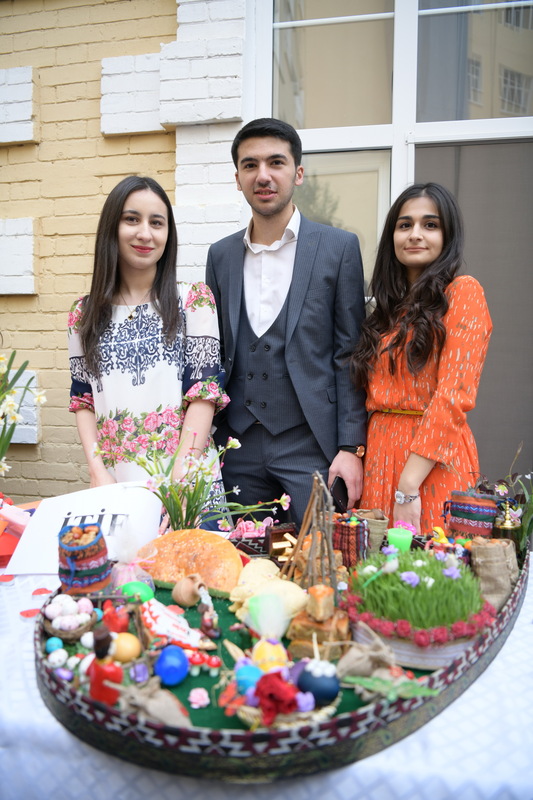 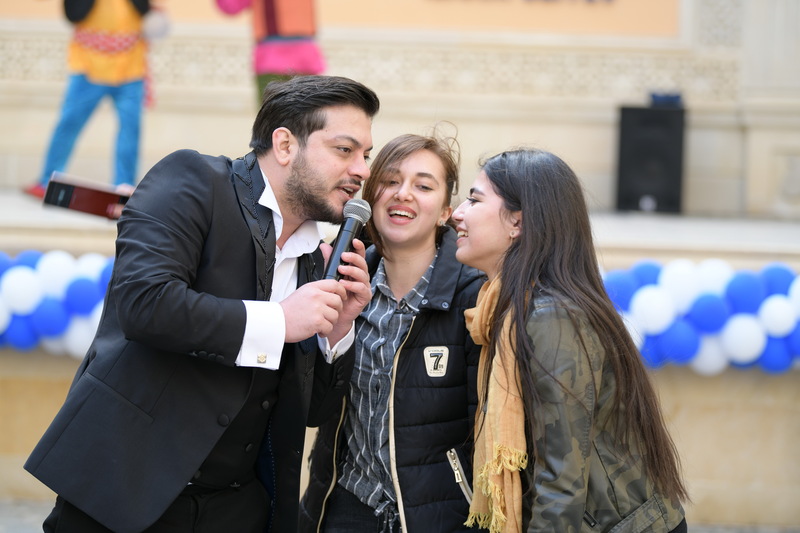 On March 15, Azerbaijan State Oil and Industry University held the Novruz festivity dedicated to the Novruz holiday and last Tuesday. 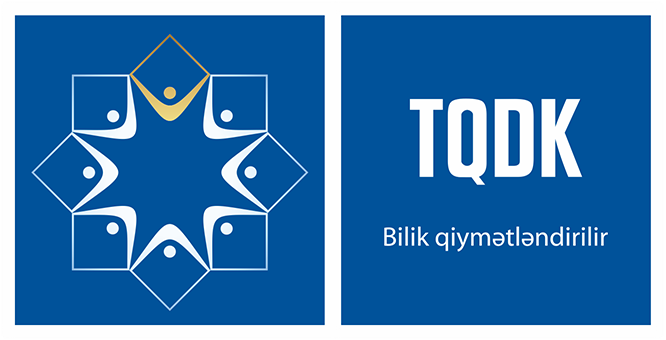 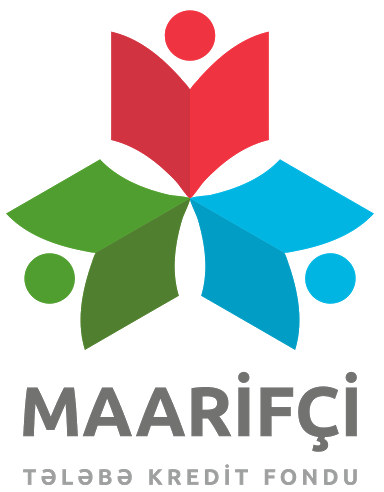 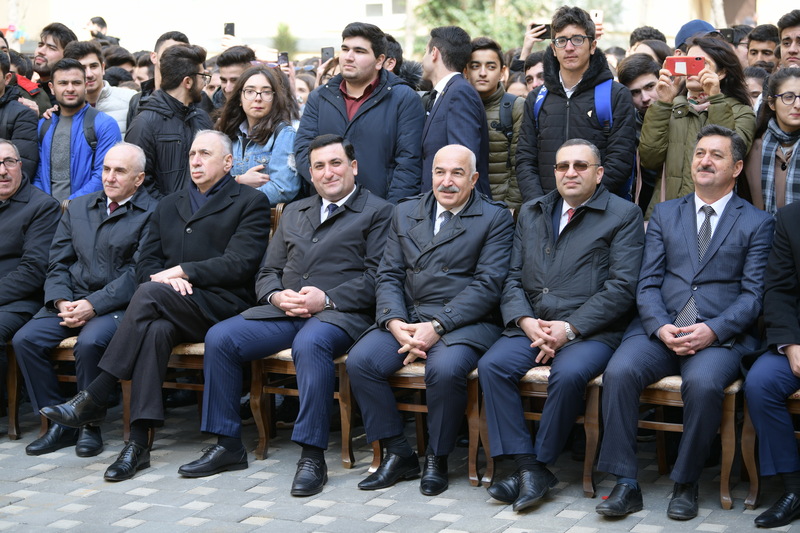 ASOIU Rector, Professor Mustafa Babanli, academic staff members and students of the university took part in the ceremony. 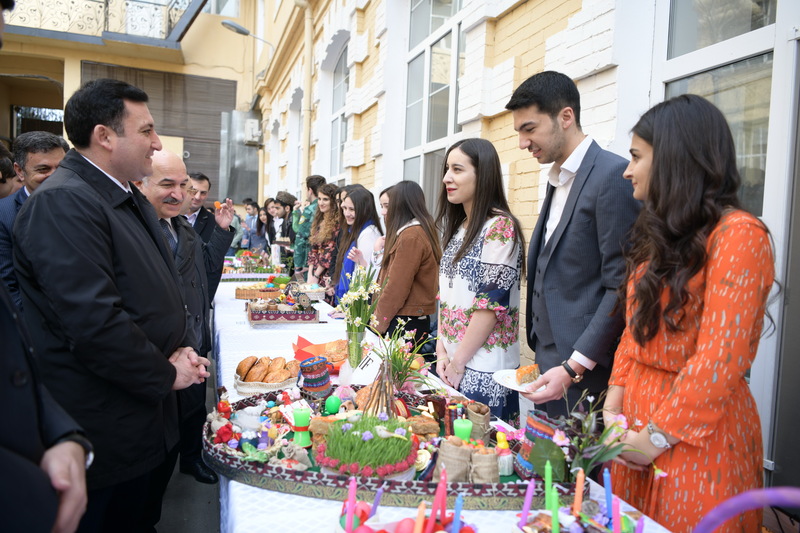 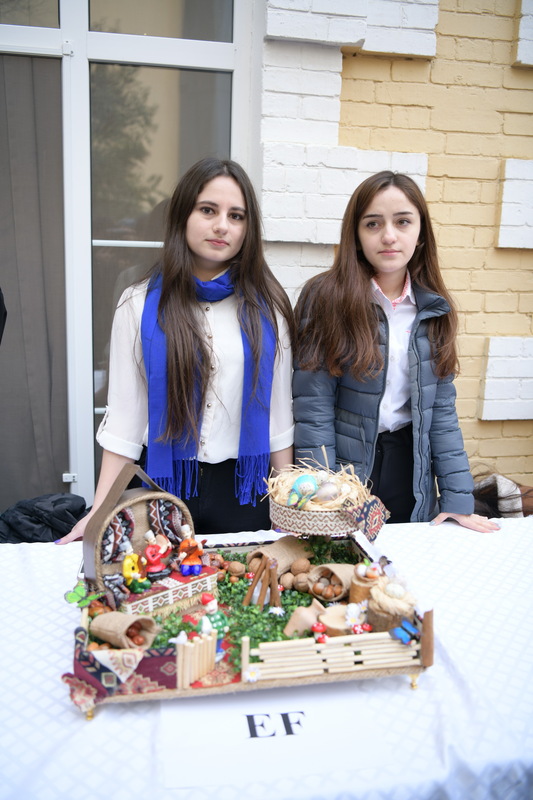 ASOIU Rector, Professor Babanli became acquainted with the holiday table set by students and highly appreciated the holiday preparations of young people. 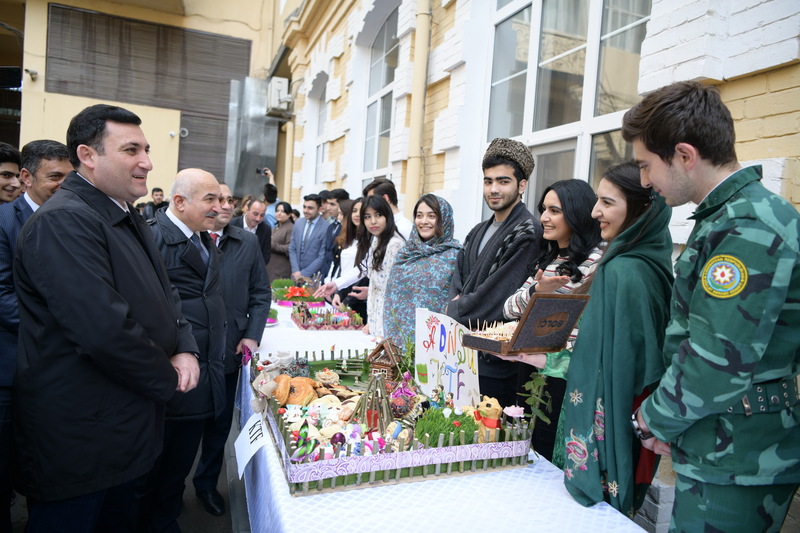 Opening the event, Rector, Professor Babanli extended his congratulations to participants on the occasion of the Novruz holiday. 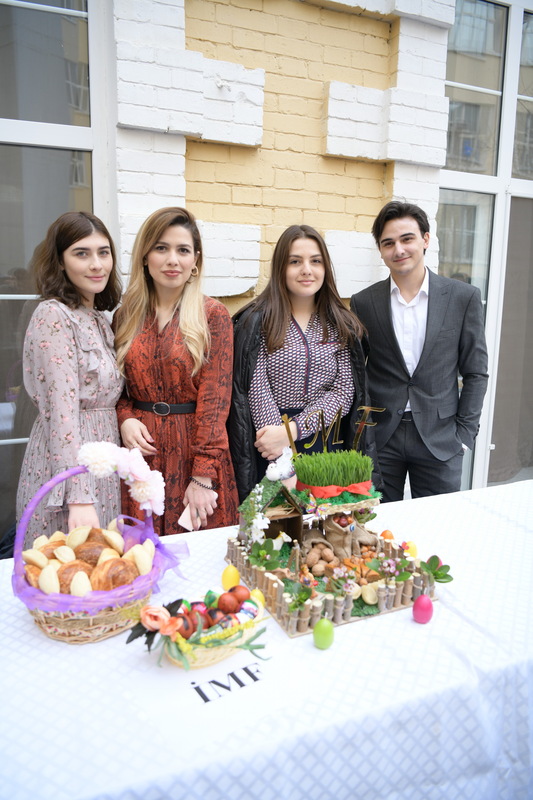 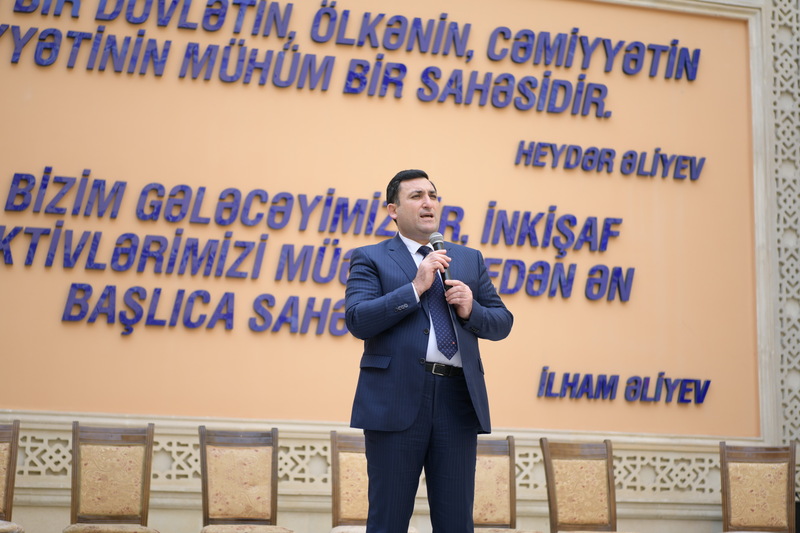 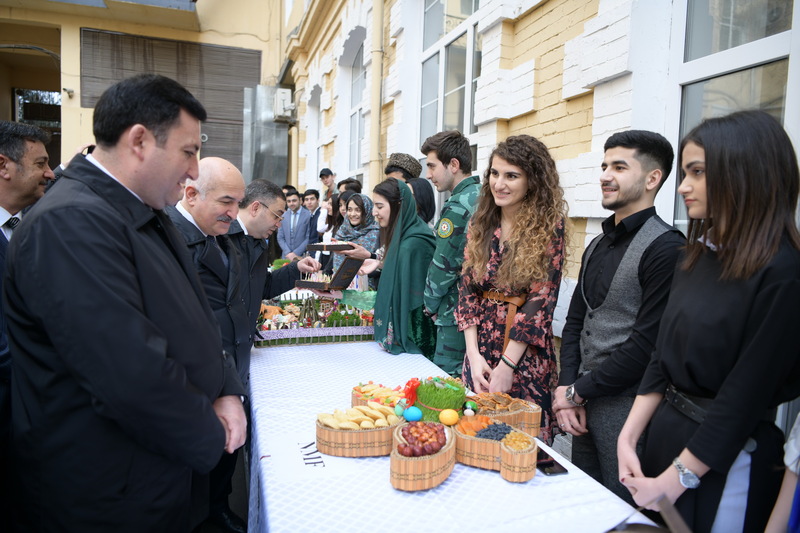 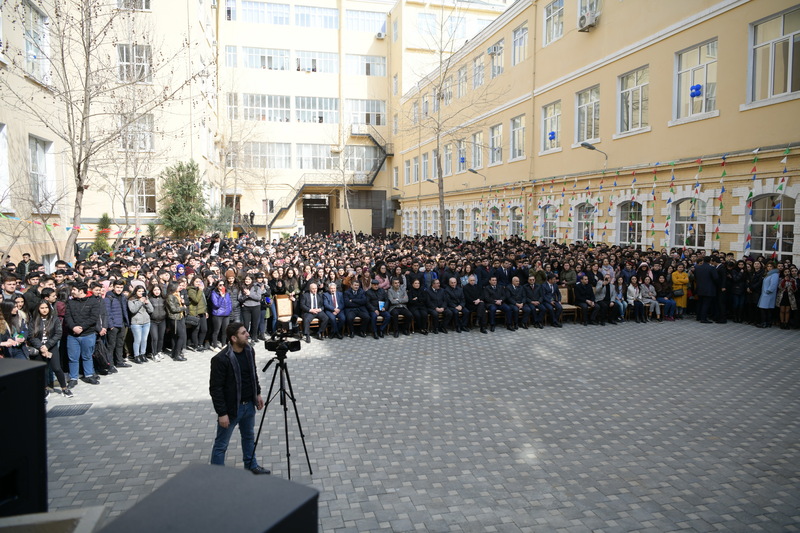 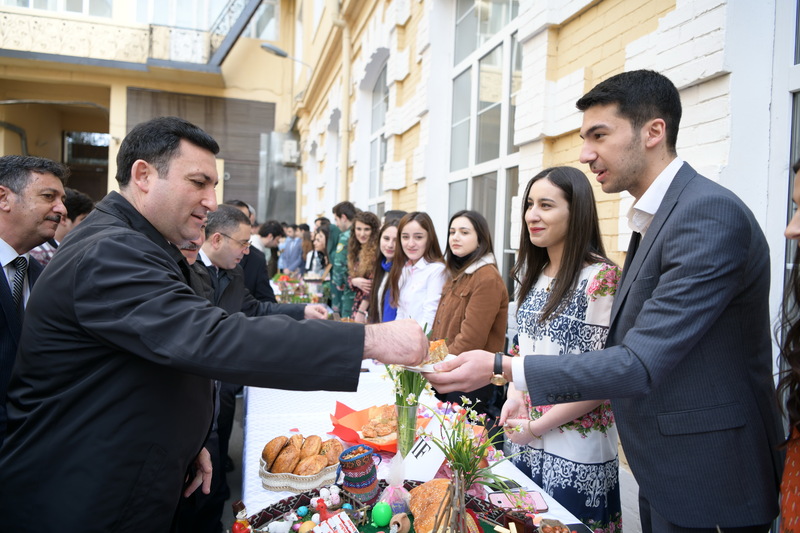 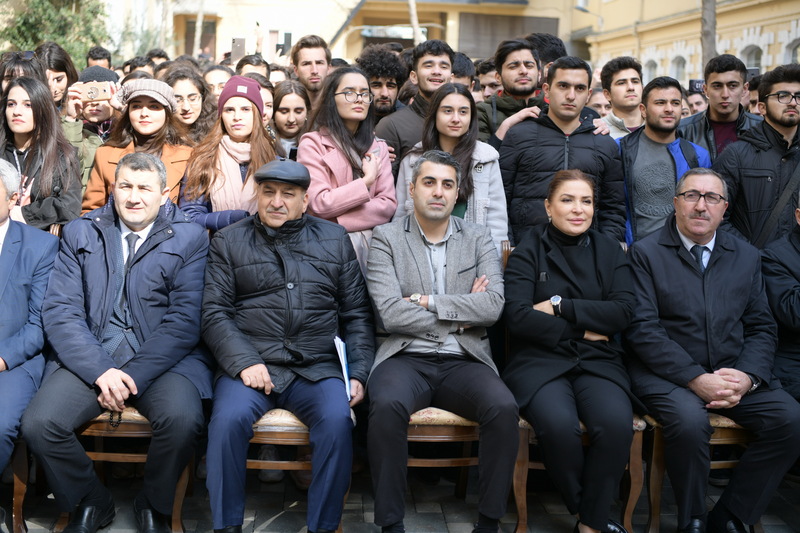 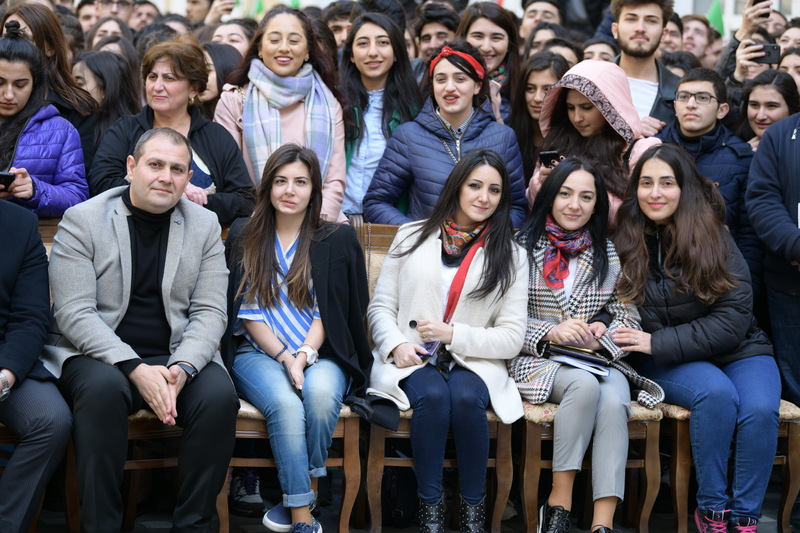 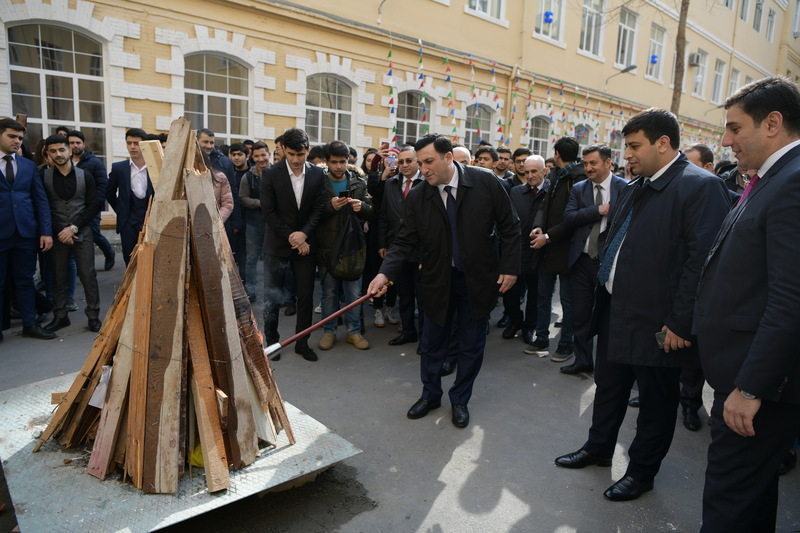 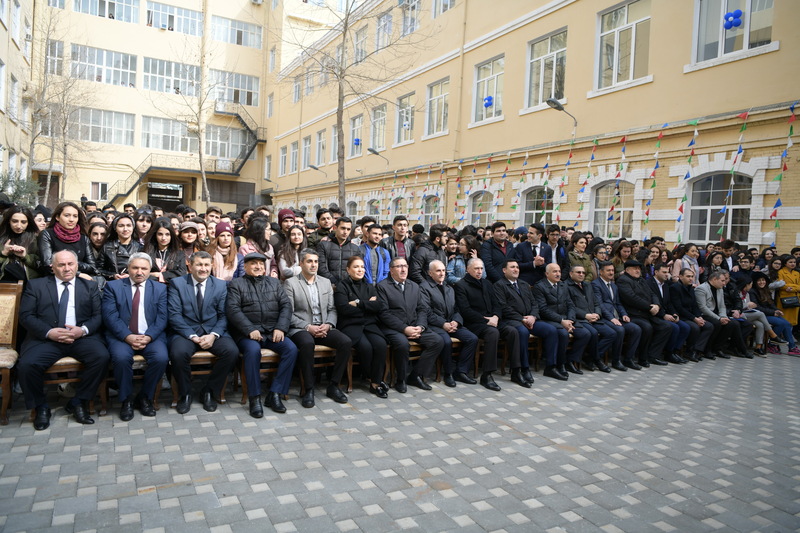 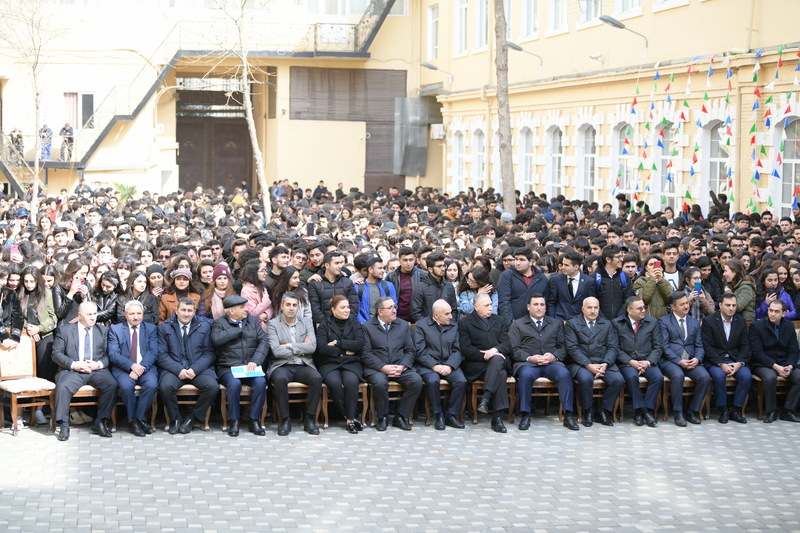 Noting that Novruz, that contains the national customs and traditions of our people is one of the oldest holidays, rector M.Babanli congratulated the staff once again on the arrival of spring and conveyed his best wishes. 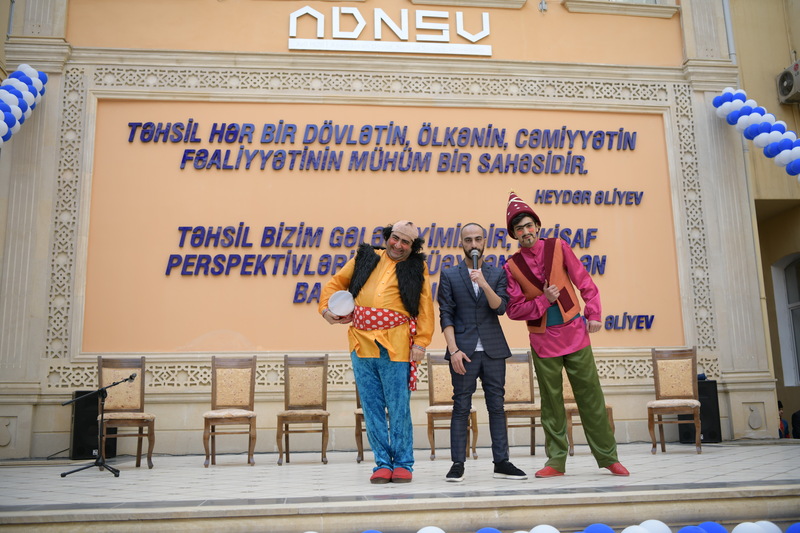 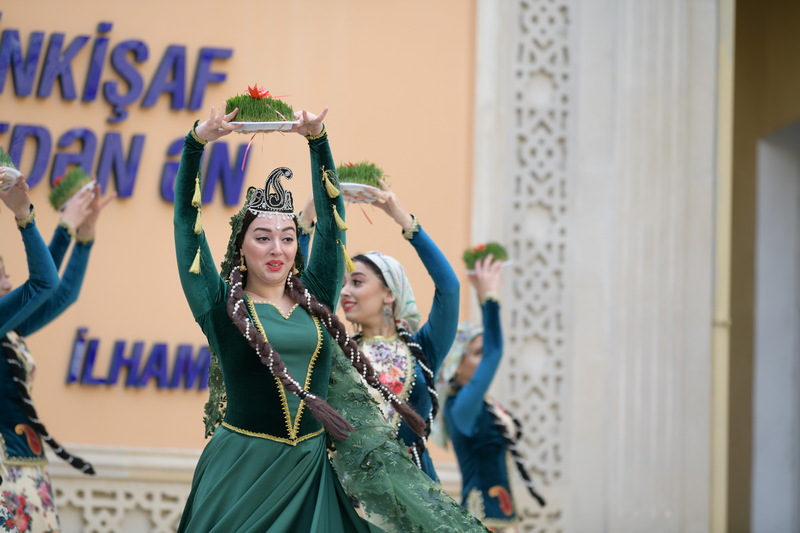 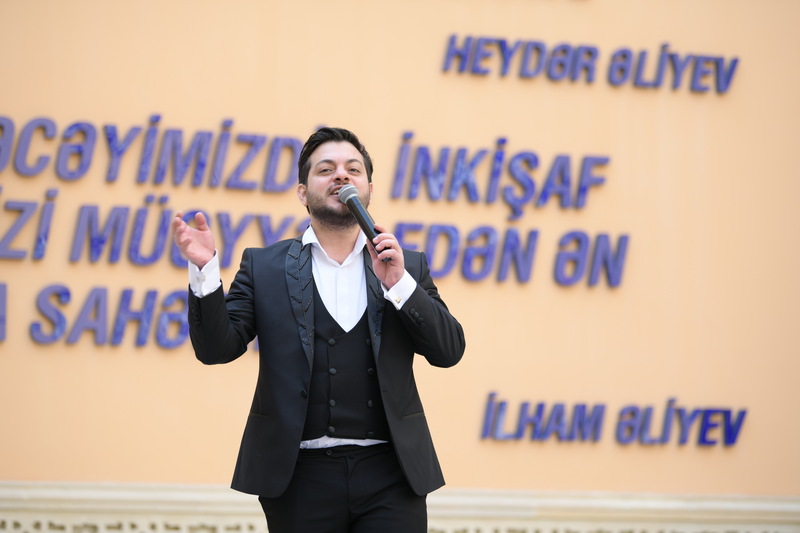 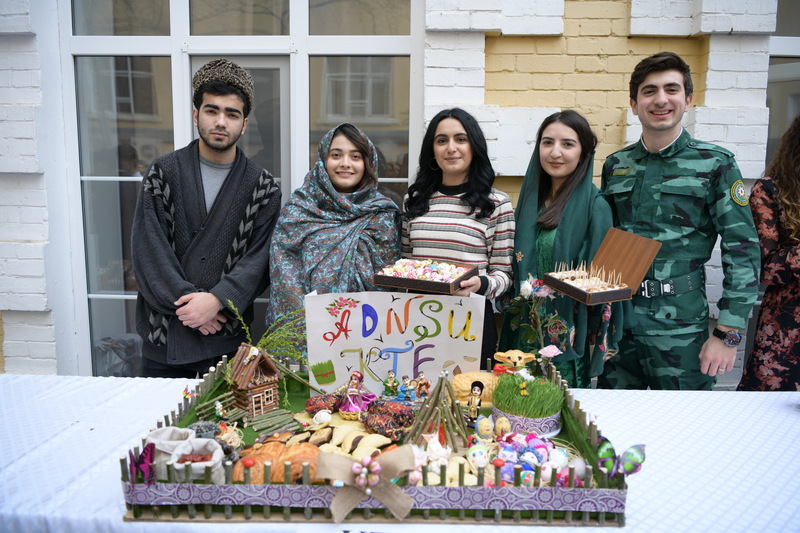 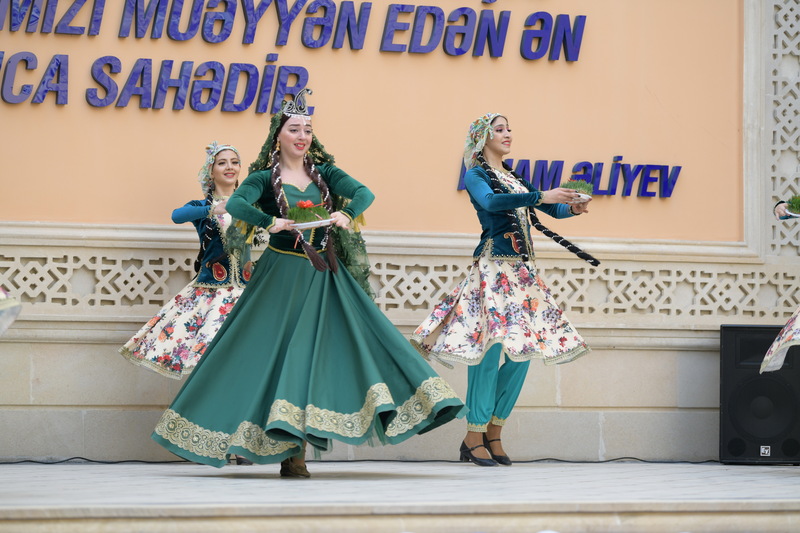 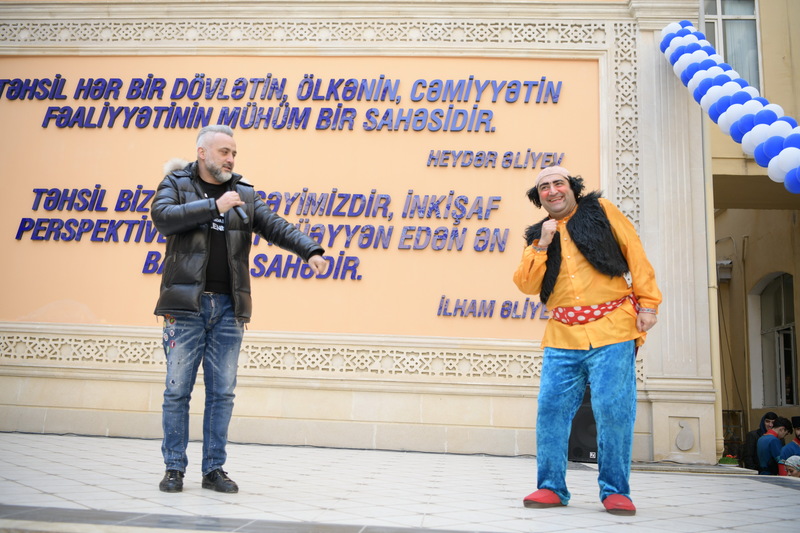 Then the event continued with interesting dance performances of ASOIU song and dance ensemble “Ganjlik”, as well as renowned singers, and interesting small scenes played by famous characters of the Novruz holiday Kosa and Kechal.